Bursaries are offered to boys requiring financial assistance. For further information please contact the Bursar directly. Cordwalles offers Music, Academic and Sport Scholarships. These scholarships are valid for 3 years and are awarded on merit to non-Cordwalles boys going into Grade 5. Each scholarship is worth up to 75% of tuition fees only. All applicants are required to sit an examination. Download more information at the bottom of the page. The Frank Jackson Foundation is a grant making trust registered in England, charity number 1007600. The Foundation was established by the late Mr Frank Jackson MBE, a well-known businessman and philanthropist from Woodbridge in Suffolk. Since 2007 Cordwalles is honoured to have been chosen by the Frank Jackson Foundation to offer scholarships to pupils from previously disadvantaged backgrounds. 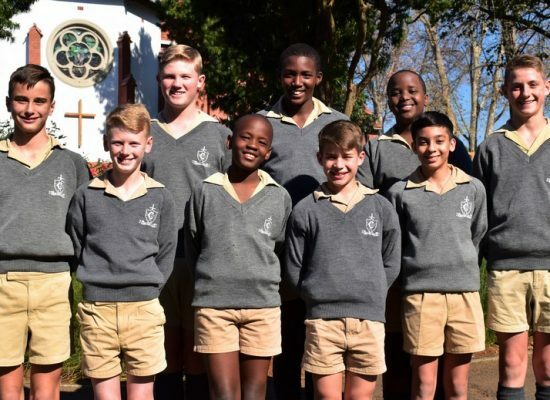 Each year, in August, nearly 100 boys in Grade 3 apply for the scholarship. The top 30 boys write the scholarship and from there, the top 5 boys are interviewed with his parents by Mr Lance Veenstra (Headmaster) and members of his staff. Two boys are then awarded the prestigious Jackson Foundation Scholarship entering Grade 4 in January. The Scholarship can be worth up to 100% of tuition and boarding and is valid until end of Grade 7. These Jackson Foundation Scholarship boys are fortunate enough to enjoy many sports activities offered on expansive playing fields, well equipped classrooms and exciting music and cultural programmes at Cordwalles before they leave at the end of Grade 7 to enter High School. Download more information at the bottom of the page.